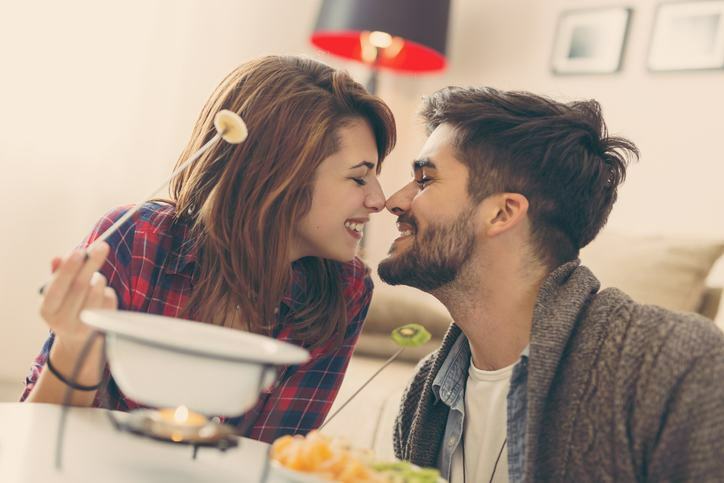 One of the more romantic traditions on Valentine's Day for couples is sharing fondue. It can be enticing to take fruits and cakes, dip them in melted chocolate, and feed the delicious sweets to one another with candlelit ambiance and the potential to drip warm chocolate on each other's skin. 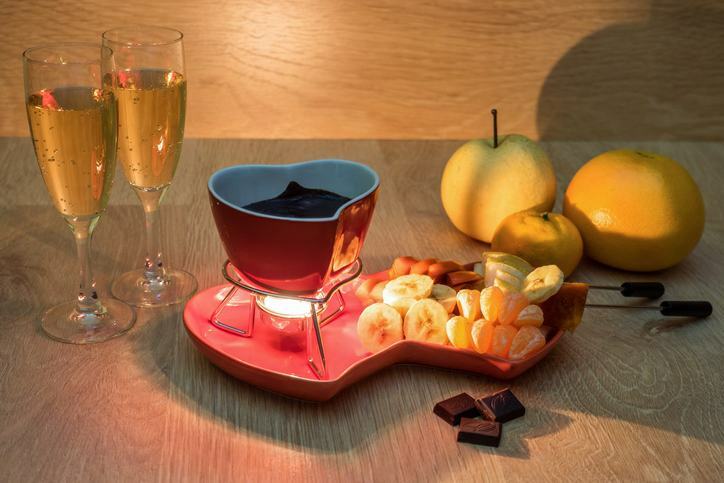 This Valentine's Day, surprise your special someone with an infused batch of fondue chocolate. It can be milk, dark, white, or you can add your own flavors like cinnamon or mint to the recipe. This is an easy and fun way to enjoy the evening and night with one another. Place the chocolate in the heat-safe bowl then place bowl in pot (the cooking utensil, not the cannabis, just to be clear...). Fill pot with water until its about an inch below the bowl's top. Place on oven and turn heat up to a gentle simmer. Chocolate should begin to melt - use stirring spoon to stir any clumps out. Add the cannabis-infused milk and cannabis-infused butter while stirring slowly. Remember that cannabis can't be heated above the mid-300's (degrees in F) without destroying cannabinoids, and chocolate begins to melt in the 80's. Find a nice in-between if you have a thermometer on hand. Chop up the pieces of fruit or cake you've chosen and place them on plate. Remove pot from heat and serve with chosen dippers. We hope you enjoy this recipe and stay safe this Valentine's Day while enjoying it with your significant other or friends, depending on whether you're taken or single. These easy cannabis-infused pinwheel recipes satisfy the munchies and are great finger foods for social gatherings. Homemade pizza using infused barbeque sauce for a sweet and tangy twist. Follow these easy steps to infusing your olive oil with cannabis.